But, it turned out that the introduction of the idea of a poetry competition revealed many students in Colborne were already writing poetry – in many ways, an underground poetry movement. But the Colborne Library initiative brought poetry into the county writing mainstream, the entries increasing with each year of the competition. Which, in turn, returning to the ‘what goes on in small community life’ theme, brought Cobourg’ s Vandermeer Toyota into the mix in a huge way when Hank Vandermeer offered to create the Vandermeer Toyota Prize, worth $200, going to the winner of the competition. Over the years, the number of entries encouragingly increased and, with this year’s choices, the judges had trouble deciding between two poems by different poets which should get the Vandermeer Toyota Prize – finally determining to honour both poets; 11 year-old Jaiden Purdy’s poem To Achieve Your Dreams and 14 year-old Lila Cappelletti’s poem, Haunted. Poetry is alive and well in Northumberland County, especially in Colborne thanks to Mary Norton’s vision and perseverance and the support of the library board. Speaking of vision, it is that time of year to again thank the dedicated staff of Cobourg’s Parks Dept on the remarkable job they do it making Cobourg the most attractive, appealing town between Toronto and … and … hmm, well there aren’t any towns between Toronto and Kingston and beyond as attractive. Cobourg’s wide main street, enhanced by the magnificent Victoria Hall, clean well maintained, wide sidewalks and, leading south to the lake and the new location for the Farmers’ Market; Doesn’t get much better. And, of course, the fabulous beach, groomed to a fare-thee-well each morning before most Cobourgians have started their day. Victoria Park, prepped and meticulously maintained by the above mentioned Parks Department as the sun rises and squirrels start their day. And let us not forget the harbour, a welcome sight for approaching boaters – especially in bad weather. And where else would you catch a 30lb salmon for the fishing competition – and then return it to the water. Coming back to reality … brings to mind a serious question: are there any council candidates running for re-election or election who have the guts to stand up and say they will oppose any changes to Cobourg harbour and will propose a motion to leave the harbour, apart from routine maintenance, as it is for all time? Wanna bet? Waterfowl sheltering in Cobourg Creek – looking north. I am fully aware of Cobourg Creek (as your photo of April 2015 with thawed creek) shows . It’s great as a small creek water source in winter as it is mostly flowing although water available generally in varying size in winter and mosty visited by some Mallard ducks when the harbour is totally frozen over. I also visit it regularly during wintertime.after the harbour. These same ducks use the harbour as well so both locations . Comparing thousands of wildfowl (geese,swans ducks,gulls,snowy owls Harrier hawks ,pigeons etc ) consistently in the harbour and your calling it nonsense” as the only sanctuary compared to the small numbers in the creek proves one point . That obvious trait is not overlooked . Maybe you are looking at a different photo but I see mostly GEESE. You’re correct . My error. Any time I’ve taken pictures there in wintertime however there are mostly mallards as the water in the creek is a fraction of the size. I should have looked closer.at your photo taken in April.when the creek is full flowing. Bill, I really can’t agree that our harbour is critical to providing shelter and food for the multitude of geese, ducks, gulls, pigeons and the less frequent swan visitors. All but the swans are prolific and widespread in our area, and beyond, and sure, our harbour is there anyway, so why not avail themselves of that fortunate (for them) winfall? The other species you cite also recognize a fortunate winfall for them, a great supply of their preferred foods. If that supply was not there, they would simply find an alternate location to frequent. Again, don’t misunderstand my apparently cavalier attitude towards nature and its beauty and benefits but do understand that our harbour is only a convenience for the wildlife that it attracts, not a necessity at all. Such differences of opinion are not an automatic and outright rejection of some of your concerns for which you continue to advocate and admirably so. I would suggest that the Willow Beach Field Naturalists are the ones to be discussing this with. I’m concerned soley with the survival of the wildfowl/natural aspect of the harbour and they could provide a full rationale as to their decisions re the marina expansion. Bill, your concern about preserving wildlife and nature is laudable and speaks for you. But consider this: Some folks like cottages, some like boating as recreation. I would think that marinas in established harbours, have minimal impact on shorelines compared to the thousands of cottages, boathouses and docks in our ‘cottage country’. Rice Lake, the Trent River, Kawartha and Muskoka are under increasing stress by new cottage and condo developments and the resulting loss of shorelines. And some have reached the tipping point. Cobourg harbour has been a harbour for a long time and using it for boating recreation is only right and proper. Walter, are our overlapping three or four generations really that self-centered that we consider ourselves to be the ones who are qualified and empowered to determine when enough is enough, when an arbitrary limit has been reached, not coincidentally in our own favour, in developing the lands we inhabit and presume to call our own? What if that had been the case 100 years ago, or 50, or 20? Where would we be today? If indeed we were the “chosen” ones to make such a presumptuous determination, what of the generations to come? Are we the chosen ones to decree that they have no say? How much of what we do today will still be here and viable? Let’s just see ourselves in the light of what has happened to past great civilizations and acknowledge that anything we do is just as temporary, just in a larger timeframe than our own individual lives. I really think that we have far less permanent impact than for what we credit ourselves. “The health unit that serves Northumberland county is calling on the Ontario government to “reverse course” and allow the Basic Income Guarantee pilot project to continue to its end. Health unit nurse Mary-Lou Mills says it could save taxpayer dollars, by reducing hospital emergency room visits, work-related injuries, and mental health treatment. Isn’t this a little off topic for a discussion of small town life and our harbour? I’m a bit of an expert on Basic Income, or as we used to call it in the 80s, a Guaranteed Annual Income. There are as many names for it as differing versions. Those of us who don’t support it are concerned that it takes the responsibility to provide a decent wage away from employers and onto the taxpayers instead. That’s just the start of objections and I would recommend reading this brief article to learn more. To learn about the pro side of it, look for the Basic Income Earth Network (BIEN) for articles about projects and plans all over the world. Always great for a newbie to get the whole picture. So the only changes to waterfront are the ones that you deem necessary for your requirements but not the ones that anyone else considers important? There’s two “opinions so far ……..and I’m sure there are more ..
and who’s right ….in whose opinion ? …and that’s just one reason why a politician’s job is harder than many of us realize; how does one reconcile a variety of largely opposing views into a plan and course of action when creating policy for the good of all? I think it is called a “majority” vote that makes the politician’s job /decision much easier. What process to find that information out ? A public referendum,as long as the town isn’t hesitant due to fear of the result. Straightforward process in my opinion. Cost ? I’m sure compared to the ridiculous sums of money largely wasted spent on out of town so called “experts” (Consultants) for everything, it would be a drop in the ocean. What tact will the new council take on dealing with a twice defeated issue publicly. The public I would think have noticed by now that five candidates running for council so far have declared that they are against boat lift/ marina expansion in their mandate. A few new candidates haven’t mentioned it at all disappointingly including one present councillor up for re-election who “in clear conscience wouldn’t support expansion” last election campaign but is silent in this one strangely. Begs a question by the public I would think . We’ll see who “walks the walk” this time. What ‘s the magic number that will settle this ever returning expansion desire by the town since 2009 (or before?). “leave the harbour, apart from routine maintenance, as it is for all time?” how does a proposal like this even make sense in a world that cannot survive without endless change? Look at this harbour today and compare it to pictorial views of it from any number of years ago. Can you spot the changes? Would the folks of 50 years ago have made such a proposal? What will folks 50 years from now say about the state of this harbour as it is today? With all the creative and visionary minds out here, it is almost certain that there are future incarnations of this harbour that are likely to relegate today’s version to a collection of ‘can you imagine that they thought this was an absolutely beautiful harbour back then?’ If that we’re not the case, today’s version would not exist either and we’d still be unloading oil and coal and waiting for the trains to shunt along Spring Street through railroad crossings on King and other streets. C’mon now Grahame, really? …and to take it where I was headed, if any candidate we’re to hold and support the position that you propose, I would consider them as a poor fit for elected policy-maker for this town. I could not support such thinking by casting my vote for them. Talk about inertia and ‘frozen in a time warp’…. more than ever, I can see the beauty and desireabilty of creating a natural reserve to the west of the west pier over to the west of Factory Creek’s outlet. A manmade but naturalized breakwater extending west from the south end of the west pier in a randomly placed pattern of shoals, pools and crannies, bound by a flat, walkable series of pathways and gathering areas all the way over to Peace Park, where there would be a welcoming access point to that human/wildlife friendly breakwater back to the west pier. A purposeful breach in the west pier would allow human powered water ‘craft’ to pass from one area to the other to provide passive enjoyment of both the harbour and the “west lagoon”. Such an arrangement would be a great answer to everyone looking to enjoy a waterfront that has everything we could want. Considered as a priority stated by the mayor at that meeting and never mentioned again. I would be concerned that the resulting large semi-enclosed lagoon might turn into a fetid swamp from inadequate water flow through it to keep it rinsed clean. there would certainly be a lot of work needed to make the idea work properly and that’s what engineers do, but first comes a concept, then a solid grasp of all the objectives, followed by a fleshing out and a first draft of a plan that addresses the objectives and objections before any decision can be made. As for your concern, our present harbour is really not much different, with only one harbour mouth but the ‘lagoon’ would have fresh water coming in continuously by way of Factory Creek. I would like to see at least some alternative thinking introduced to find a solution to the dilemma we appear to be facing when it comes to the harbour issue instead of making it an either/or choice. There seems to be a west-to-east current in the Lake that will bring fresh water to the ‘lagoon’. Also, the Factory Creek is an excellent eco-system which shelters hundreds of ducks and geese during even the coldest snap in the winter. Trout and salmon abound in the spring and fall. The Pollution Control plant on King Street discharges clean, warm water which keeps the Factory Creek open year-round! Bill, population 18,000 makes 9,001 a simple majority. How many have specifically stated their objection to the harbour changes we could be talking about? If that number is less than 9,001, while it may be significant to some smaller degree, a majority it just does not make, and calling it one, as you persist in doing, does not change that fact. I, and maybe only I, think you do yourself and your cause a disservice by doing so. Your passion is noted but might be getting in the way of convincing those outside of your “majority” to agree with you or even accept your premises. I don’t recall using the term a “treasure trove “but definitely agree that it certainly could / may disappear. My comments being described as alarmist brings forth another aspect ,namely the Willow Beach Field Naturalist’s view. Are they also being alarmist by requesting the harbour and headland be declared a nature preserve ? ” What future changes could take place when everything natural has been destroyed…..build bigger marinas /destroy the marinas etc and try to recover back the natural aspect that you destroyed ? There is no going back once all aspects are gone. Future generations will not thank us for allowing the destruction of what is universally admired but destroyed for financial interests.” Your words Bill. In my view, that’s alarmist. Did you say specifically “treasure trove”, no. Have you said things that are along the same lines, yes. I apologize for putting words in your mouth. As far as the Willow Beach Naturalists go, their concerns, while perhaps not stated in such dire terms, do run relatively concurrent with those who propagate more alarmist views, albeit that they are more subtle about it. Don’t misunderstand me here, I have no issue with them or anyone being deeply concerned about the waterfront but I also think that most efforts to belay changes to the waterfront are shortsighted, if not closed minded about attractive and workable alternative solutions that are definitely there for the picking. It just doesn’t have to be an either/or type of scenario. Very good. That’s how I understand it also. If the Willow Beach folks want a nature preserve in Cobourg Harbour, should boaters be able to build marinas in nature preserves? exactly one of my points Walter, one space expected to provide conflicting environments, and both sides determined to get their way. Foolish, IF you ask me. What’s called for here is some vision beyond today’s impasse. Perhaps after this full exchange of generalities/ opinions etc. answering the specific question “Do you support /not support the boat lift /marina expansion as proposed by the town.? would be appropriate..
My position is direct and fully opposed ….and yours? Boat lift and marina expansion are two different things requiring two separate questions. Is it not possible to negotiate for slips on the west side of the centre pier, limited to three wharfs containing 6 or 8 slips each on the provision that the boat storage area be moved back from the harbour 2 or 300 yards? Negotiate for things, perhaps trade-offs compromises, etc. Yes your position is direct and fully opposed. Knowing that already, why bother negotiate anything with you. You’ve turned your mind into a noun, rather than the dynamic of a verb, fluid, movable, flexible, open to ideas. .
Wally, you’ve said it well, and my comment which I was writing while yours was posting only reiterates your good points. It’s good to know there are others who can look beyond the here and now. The everlasting no, etched in granite, saecula saeculorum. Reminds me of our designated columnist sage, Grahame. At least Grahame retreats to his lofty loftitude once he has delivered his homily. With Mr. Thompson we hear the same things over and over and over, world without end. Walter, I guess there are some that subscribe to the belief that, if repeated often enough, an assumption, theory or conjecture will eventually be taken as fact. Thinking people likely don’t. I’m not sure the town council /staff would appreciate hearing that ! Why am I reminded of an often repeated story regarding another sort of negotiation? Bill, your response tells me you’re missing my points altogether. You’re asking me to choose one of only two options, as you see them and I’m of the opinion that those options don’t even need to be in play, or at least not the only ones on the table. I suggest there are more ways to look at this besides the either/or approach. Your choice is clearly an either/or one which I simply reject so I can’t answer your question as you would like. It’s far more involved than that. I think you risk marginalizing yourself and your position by having such a restricted approach to the waterfront on the whole. Who would want to engage you if they know you can’t see or think beyond such a narrow view of it? Bill, an additional comment I would offer is that I get the sense that you don’t see that I favour your efforts to keep the harbour from being overrun by Marina interests. Nevertheless, I also don’t find an expansion of some degree as out of place, given the proportions with which we are dealing. In addition, I also favour the efforts of Naturalists to keep that element as a big part of the waterfront, while not necessarily as an exclusive one. I do think your passion steers some folks clear of making their own thoughts public and thus might make it difficult to grow your group of outright objectors, some of whom may be more pragmatically inclined and willing to be somewhat flexible in their own hopes. Demanding yes or no leaves little room for those who want to look at ‘what if’ or ‘how about’. Possibily another review of what was proposed might refresh memories of what the town had /has in store . No debate required as this is the final draft proposal . “Heritage Harbour” is an even better keyword. if you like the exhibition & Mid way then go just don’t ask the residents to pay to get you there . The Waterfront User Needs Assessment and Detailed Design, offers up 83 recommendations, split among 24 projects that would be implemented over 24 years. There will be lots of opportunities for future Councils to discuss the projects as the come up. To call for candidates to have the guts to freeze the waterfront in place “for all time” is just plain …erm silly! “Great” idea…..a council in office with short time life remaining, proposing projects (theirs) for how many future councils over 24 years to decide if they’re worthwhile !? If they were paying the consultancy fees themselves they may not be so keen to be the future forecasters for the town,particularly in one instance a project that has been defeated twice and still keeps resurfacing….No cigar for guessing which one…. how does any council, all limited to a 4 year window, avoid setting in place, plans and policies that don’t affect future councils? Ya know Bill, I get your frustration but sometimes it’s hard to understand just what you would like to see as a workable system for making plans for the Town’s future. As you said, more opinions bring out more questions about who is “right”, including the harbour debate of late. Perhaps that goal would be a natural consequence of eschewing “legacy” projects to stoke politician’s ego? If the town were to restrict itself to the basics such as policing, road repair, water/sewer services and snow removal there would be few worries about projects that might not be in accord with the desires of future Councils. if that’s the extent of Council’s bailiwick who would propose, discuss, approve and implement any enhancements or improvements to the quality of life, developments, etc., etc., etc., in the town as a whole? Even running a home of one’s own involves far more than the basics you suggest to be the limit of Council’s pervue? Of course running a home involves far more than the basics. However, I would prefer to make my own decisions regarding priorities rather than expecting the other taxpayers to make them and fund them for me. What services that I need can the town provide more cost effectively than can I? Roads were in my original list of proper town services. perhaps we could look back to some of the decisions made in the past that laid the responsibility for seeing them through at the feet of today’s Taxpayers’ and try to imagine what things would be like if those choices had been avoided because of costs and other issues. Actually, one of them IS the original decision to acquire the harbour from the Federal Government for $1 and a suitcase of cash for some much needed maintenance. If that choice had been avoided there’d be no need today for any discussions on what we, the people of Cobourg, want at the waterfront. We’d have no bills for expensive repairs that we, today’s Taxpayers, would have to pay but the price of that relief would be an industrial wasteland down there. How was that choice viewed at the time by the frugal taxpayers and how is it viewed today? So, was it a bad or good choice Ken? this might put some perspective on “industrial wasteland”. CN Railways owned these lands until the town acquired them a while back. When CN ended their day to day activities there the jobs you refer to ended as well. Notice the ‘tank farm’, the coal piles and the CN frieght sheds all adorning the same waterfront we now enjoy so much. Another couple of those decisions I’m talking about are James Cockburn Park on William St and Henley Arcade, and there are more, all of which we take for granted today. Mr Strauss is a member of the Cobourg Historical folks. good to know Walter; then I’m probably not telling him something he doesn’t already know. Ah well, a periodic review is never a wasted effort. Encouraged Community involvement / real genuine communication (vice promises etc at election time ) and not just projects originating in the offices of those unelected employees. Transparency …easily promised and more easily forgotten. One recent prime example …..and failure . How many people had heard about the WaterPark before it appeared at council and was approved without even sight of the plan by that same council ? Blame Town Council for the failure of a private enterprise. Talk about a misdirected accusation. How much money did the Town lose on this? NONE. The private enterprise was going to provide the lifeguards ? I seem to remember how you said it would provide employment for Cobourg students etc. Did I misinterpret that ? Yes, it would have provided employment to Cobourg students who qualified. Insufficient numbers qualified. Is that the Town’s fault? Again how much money did the Town lose on this? NONE! But then again, your policy would deny student employment to earn their tuitions. Perhaps listening to the people of Cobourg who pay their wages might be a good place for the council to start. Marina expansion defeated twice and still it appears,along with a few other surprises thrown in when at election time ….no candidates were in favour of it. The town’s most valuable asset must not be turned into Coney Island /marina boatyard and the council must remember the west harbour is for the enjoyment of its residents year round not for a four month of the year “tourist”tome. I would surmise that those in favour of these very divisive issues proposed by the town do not live near the waterfront and probably are not regular frequenters of the area most at risk. If it allegedly brings in “ALL those tourist dollars” to the town ,and doesn’t affect my lifestyle personally, then why not do it. That rationale has a certain ring to it sadly. Let’s put this hoary old wives’ tale to bed it is not only the people who live in the area that are interested in the Marina and Harbourfront. Stop saying this or else we will think that you suffer from NIMBY syndrome! Of course some people who don’t live in the waterfront area are interested in varying degrees as the opportunity to see open water/nature and wildlife is generally of interest to most people.as it’s disappearing at an alarming rate. It’s the gradual destruction of it that is the problem and very obvious . interesting you made the point of not only those……etc when I have so many people asking me questions about the marina expansion. So many said it’s the first they’ve heard of it yet quite a few stated that they’ve lived in Cobourg all their lives….and they are middle aged/seniors. That may reinforce my previous statement ……if it doesn’t affect me why would I know or care ? NIMBY of course….the generic term originated by those not directly affected at those who are. I was wondering how long it would take for that old chestnut to surface. Spare us the alarmist call to harms. We have a west beach, Peace Park, Lucas Point Park to enjoy open water, wildlife and critters. These places are all enhanced with departure lounges to the Imagine Nation. aka, park benches. I would like to see a tall post at the end of the west pier with a platform for an Osprey nest. Perhaps one in Peace Park and Lucas Point. 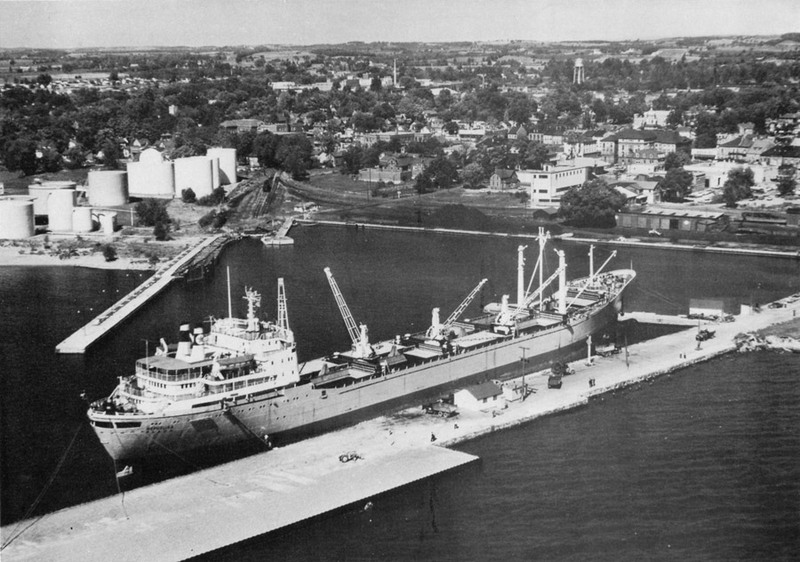 According to Gil and Mr. Hustwick the waterfront exercise was the most successful public engagement in the history of Cobourg. I guess that you’ll never engage a few who have lived in Cobourg all of their lives. “…the most successful public engagement in the history of Cobourg…” now where have I heard that level of hyperbole before? Do you really believe that they checked back through the records to confirm that claim? I can think of a few cases where it might come up short and that just makes this case seem all the more about bluster and bafflegab when it comes to claims of “majority” on all sides. Again, note Bill’s statement “So many said it’s the first they’ve heard of it…” You just gotta wonder who, if anybody, even comes remotely close to the truth as opposed to their own version. Agreed! Bluster, bafflegab and ballooning budgets are all that Gil and Mr. Hustwick can manage. The fiasco belongs to the private enterprise, not to the Town. Your assignment of blame is curious. Mr. Hustwick assured everyone that the selected vendor had experience with water playgrounds, was capable of doing the job, had sufficient insurance and was a great choice. Don’t you think that competent staff should have done a little more thorough due diligence? Wally keeps reminding us of the $20000 plus great jobs for the kids. Due to the failure of Mr. Hustwick to properly evaluate the vendor we’ve lost those benefits for at least a year. The wrong choices are a failure of town staff rather than private enterprise. How much money did the Town lose? NONE. Dismissed. Perhaps you are not aware of the concept of “opportunity cost”. Quite an exaggeration! Victoria Park Beach has hosted carnivals, trampoline businesses, miniature golf, and other fun things for the locals to play on over my lifetime. Tourists welcome to share/pay. Alas, not all of it, but much of it. Local taxpayers will have to pick up the pieces and the multiplier effect of ‘Tourism dollars’ will certainly come in handy. 1. to think or infer without certain or strong evidence; conjecture; guess. Every Cobourg taxpayer whether they live north of Elgin Street, North of University, or even north of King Street, or east of Darcy Street or west of Ontario Street has as much say in waterfront issues as the few condescending ‘parachutes’ who think Victoria Park and the waterfront are extensions of their own private yards. Is that intended to somehow reference one of the candidates for Councillor or, perhaps, Merriam-Webster who publish a dictionary of American English? You are quite correct to surmise that there is no conclusive evidence for my suggested meanings. As the author perhaps you would be willing to elucidate. How about – have the guts to stand up and say they will oppose any changes to Cobourg harbour and will propose a motion to leave the harbour, apart from routine maintenance, as it is for their term in office? The town council actually did state that fact that it was dead for their term after Brian Darling made the statement re “the horse being dead”. So how did it get back on the agenda and made most important after being defeated twice ? I asked the consultant that question at the first WFDP meeting and his response to me was (quote) “There would be a problem if it wasn’t”…..Next question …..
but how many actually stuck to their guns and their supposed position on any of the issues they campaigned on . How many more $$ will they spend for the benefit of outsiders to Visit Cobourg . have been telling us over the past 7 + yes Tourism is important aspect to any community but its no longer proving to be this towns Life Blood . but free thinking creative people are what we need . Enough of the old stick in the Muds ! Good morning, Mr. Woods. Thank you, I enjoyed this article very much. Quick question, please: Are you aware of an adult poetry-writing group in our area, please? Thank you. Thanks for the article Graham, you’ve hit on three of my favourite topics: Poetry, Victoria Park and Bare Naked openness and frankness from Politicians. Who doesn’t like poetry, Victoria Park and open and frank politicians? hahaha…that’s an ‘omnibus’ comment if I’ve ever seen one. Johnny Percolides states this in his bio. To my knowledge he if the first (only?) one to do so. I should think that having a realtor on Council is a serious conflict of interest. I believe, when Mr. Kirkup ran for Mayor in 2014 he promised to put his real estate business on hold. Will Mr. Percolides make the same commitment? I realize you must be a very busy guy and don’t have time to actually ask Johnny yourself, so I sent him an email with your concerns. I’ll let you know if he answers me and what he says. But for the sake of openness, transparency and the frank expression of opinions in this blog, I should think Mr. Percolides can speak for himself right here. This post was in response to a post by Walter asking for my email address. You don’t need it. Communicating here seems to be working. Then you should have asked him directly right here. I don’t believe it matters what kind of career I have or anyone has who is running for council. If Adam Bureau, who has a business downtown was successful in getting on council and a vote on a certain subject came up that would benefit his business, he would need to declare a conflict of interest and not vote on that issue. Same thing for Aaron Burchat, the owner of the Show Time TV and Stereo business in Cobourg. Same thing for Nicole Beatty and all of the candidates. If Brian Darling gets re-elected and a vote comes up that would benefit him he would have to declare a conflict of interest. I hope that helps, please let me know if I have done a good job at answering your question. I have been advised from my election campaign managers to stay away from that site for now, I wish I could tell that gentleman what I just told you. Feel free to share my response as long as it is not edited please. THE ONE THAT REALLY MOVES YOU! So much for your true intent of your condemnation remarks of the troublesome CTA for trying to arrange a PUBLIC meeting of candidates as they would cause all those problems. You would prefer to post your question on this site instead of contacting Mr Percolides directly yourself and asking your question? Are there any other issues /questions that you’d like to post on this site about the candidates indirectly without contacting them personally ? I’m sure someone else could do it for you. I’ll send all your questions for you Walter and post all the answers I get right here on this blog. That way, anyone who wants to, can hear the question and how the candidate answers it. It will help everyone form their opinions about the would be Councillors and DM. Not like the special 125 citizens who get to hear only the questions asked and answers given at their particular table at the Chamber O Commerce ho-down. That, Walter, is how democracy works. So does this mean that the two /three other candidates who run businesses in town have the same conflict of interest issue ,or does it only apply to Mr Percolides.? Perhaps just an oversight on your part.? Your “concern” wouldn’t have anything to do with the fact that he openly declares his opposition to marina expansion by any chance ? The more subdivisions Council approves, the more real estate there is to sell. And yes, your suspicions, as always, are on track. I should confess that I have been paid a hefty sum from the Holdco slush fund, the Acme Travel Lift Company and the Ontario Yacht Builders Association to post this piece about Mr. Percolides’ candidacy. I had to laugh a bit when (even) you called it the Holdco Slush Fund. manfred s and Walte L. Lueddtke, I think everyone got the joke but found it too lame to comment on. I might call it ‘not-so-clever wit’. Even though he said it in jest, I still liked it when he penned the words Holdco Slush Fund. Have you ever considered having a high school graduate proofread your posts? Manfred, some days I am too positive, sometimes too negative. You just can’t please some folks. Great point(s). Another question might be ‘What does Mr Curtis think about the pier, harbour, west beach, travel lift?’ So far heard nothing from this individual which is disconcerting given he is running for a seat at Council but also as aspiring Dep Mayor I feel he needs to take a leadership position on these and other issues. Let’s wait until he kicks off his campaign and he may tell us. If not, I’ll ask him for you (and Walter) and post the answers here. by what means would you expect to hear from Mr. Curtis, or any other candidate, for that matter? Literature left at the door? Door knocking themselves? Radio commercial? Website? Someone comes up with a public debate formula that suits everybody and he participates? Maybe they would answer an email from me like Johnny Percolides did for me and Walter. I’ll bet any of the candidates would return a phone call. perhaps you recall a recent discussion on this blog about the all-candidates meeting concept and how some felt it’s absence was a critical failure of the election process. It was also stated that personal contact was probably the best method of becoming informed of candidates’ platforms. Now, here, you have corroborated that idea as well. Perhaps you don’t see the cancellation as significantly negative as before. Of course, it does mean more active engagement by the voters than a rather benign one of mere observation, but that’s what’s really important in the end, isn’t it. One of the few clouds on our current horizon is the dearth of mainstream medium media in our area, and an almost complete lack of ways to interact with our aspiring politics. Therefore, thank you for challenge to our current candidates. I hope that most of them will respond ! I would hope that if candidates already have personal opinions on contentious subjects, they would qualify their views in that they would want to be fully informed council members before rendering their final opinion on a topic. Including all of the waterfront issues over which the town is quite divided. According to our current Mayor and several of the Councillors, including one running for re-election, the people of Cobourg have been consulted, their opinions tabulated and everything published in a 700+ page report. Highly paid consultants did the work so it must be perfect. To remove any possible doubt an “information” piece was paid for by the taxpayers and delivered to every Cobourg household. Surely you are not suggesting that the resident’s true opinions have been misread and that becoming a Councillor will suddenly reveal the deception.